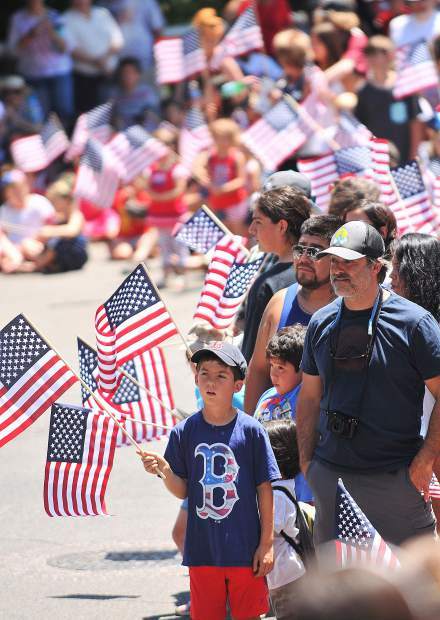 Hundreds lined the streets Wednesday to celebrate Independence Day in downtown Nevada City during the annual parade that alternates each year with the city of Grass Valley. A large showing of Clampers from the Nevada City Chapter of E.Clampus Vitus hold a large United States Flag as they march down Broad Street in the Independence Day Parade. 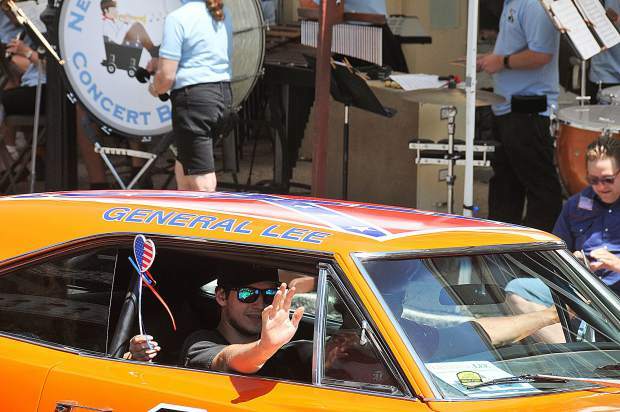 The drivers of the General Lee wave to fans during Wednesday's Independence Day parade from the inside of a 1969 Dodge Charger in downtown Nevada City. 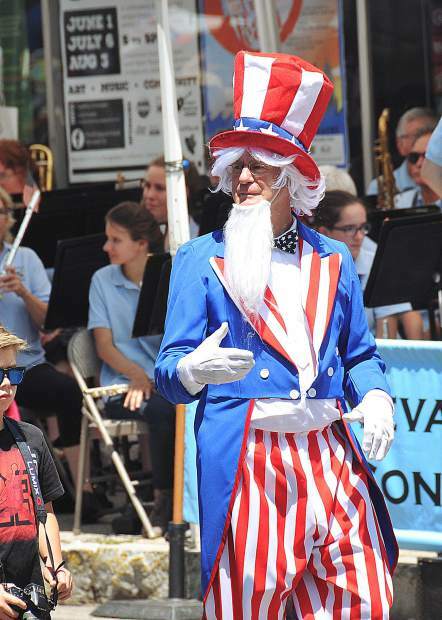 Uncle Sam walks down Broad Street promoting the Famous Marching Presidents during Wednesday's Independence Day Parade. 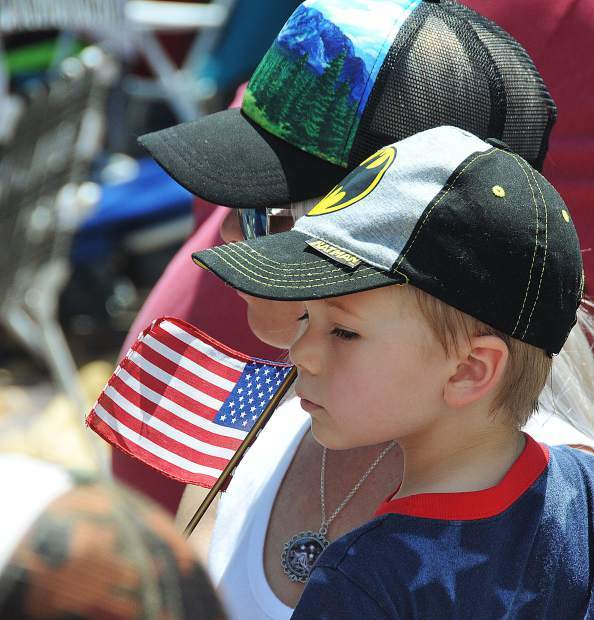 All eyes were on the Sweet Home Nevada County Fourth of July Parade held in downtown Nevada City this year. The parade alternates between downtown Grass Valley and Nevada City. 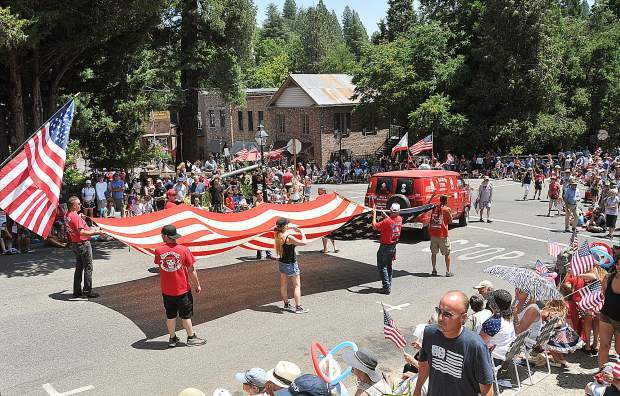 Throngs descended upon the streets of downtown Nevada City for this year’s Nevada County Independence Day Parade with the theme Sweet Home Nevada County. 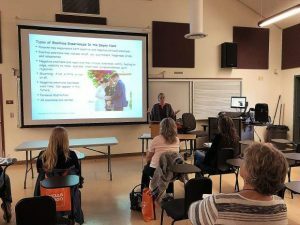 The cities of Grass Valley and Nevada City alternate which city hosts the annual parade. 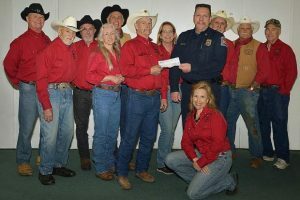 1st, S & S Tree Service; 2nd, Nevada County Search and Rescue; 3rd, Gold Country Trails Council. 1st, The Curious Forge; 2nd, Kare Crisis Nursery. 1st, Family & Friends/ C.J. 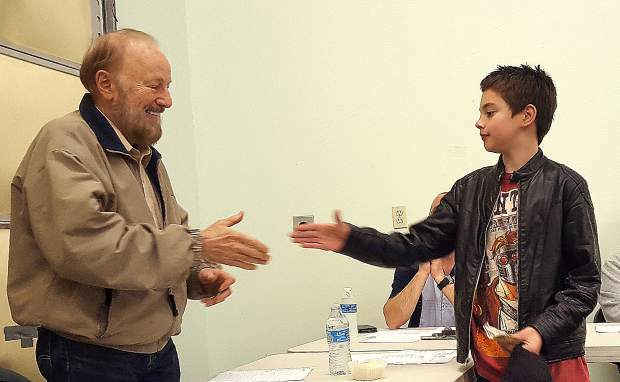 Rist; 2nd, American Legion Frank Gallino Post 130. 1st, Grass Valley Fire Department/Grass Valley City Council; 2nd, Ophir Hill Fire Department; 3rd, Nevada City Fire Department. 1st, Union Hill School Marching Band; 2nd, Ophir Prison Marching Kazoo Band. 1st, NEO; 2nd, Daisy Girl Scouts Troop 547; 3rd, Gold Mine Wrestling Club. 1st, Atria; 2nd, Remax Performance; 3rd, Sierra Nevada Memorial Hospital. 1st, Jazzercize; 2nd, Celtic Society; 3rd, Gold Country German American Club. 1st, Mr. Potato Head; 2nd, Nevada Union Football Boosters; 3rd, M3 Mall Queens.